Task: Set idle session timeout value for SharePoint Online. How to Set SharePoint Online Idle Session Timeout? 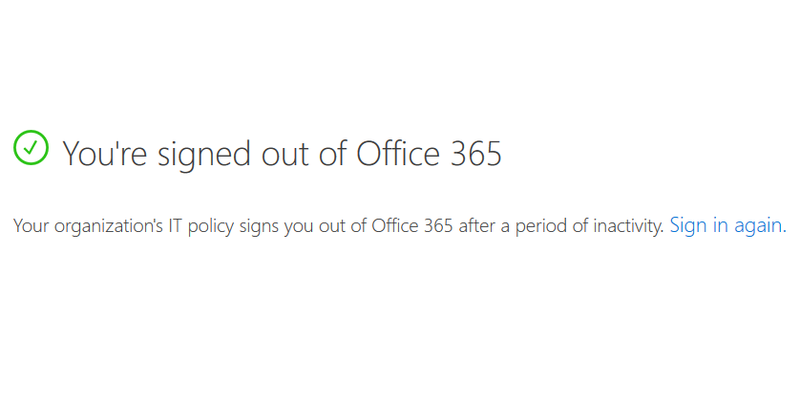 The idle timeout settings are applicable only to web browsers - doesn't affect any clients such as OneDrive Sync client - they stay logged in as usual. Tips: You can use "Get-SPOBrowserIdleSignOut" to get the current idle session timeout value! So, after the execution of the above script, SharePoint Online gives a warning after 30 Minutes.If the users press the continue button, they can continue working until the next time they leave the browser window idle for the warning period configured. 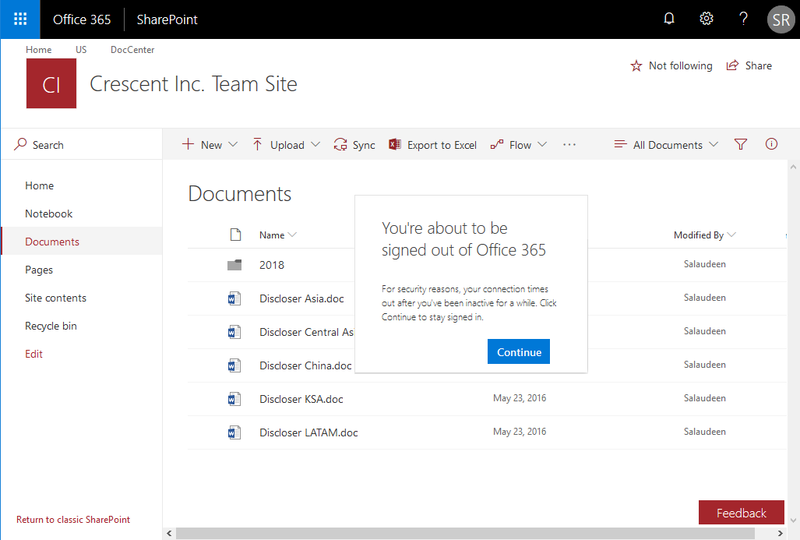 and if there are no activity from the end user, then SharePoint Online automatically redirects to sign out page. Please note: Changes to the idle session settings takes effect ONLY on new sessions. Existing browser sessions doesn't get affected (until user close and re-open a new browser session!). Also, if the user selected "Keep me Signed in" - these timeout settings doesn't affect that user!. How to Disable Idle Session Timeout in SharePoint Online?